Dawn Bellis had an extensive background working with horses. At the age of 13, she began training horses for other people. Her mother owned a riding stable in Litchfield, PA, where Dawn learned to ride at an early age. 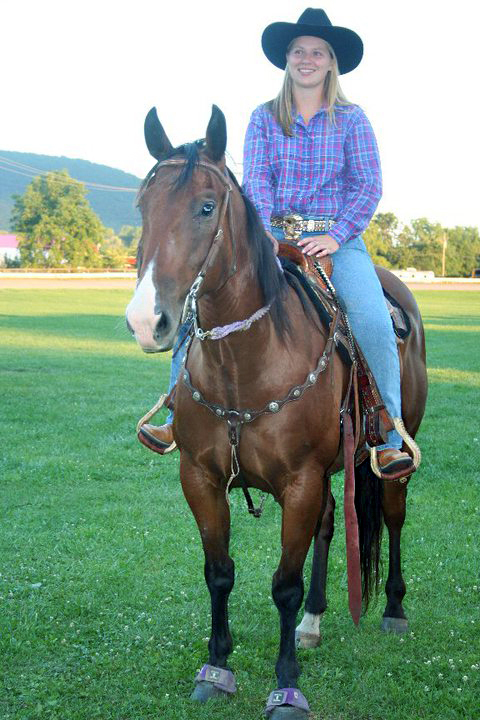 She learned to ride English and Western and competed in local shows. When it came time to teach others how to ride Western Pleasure, she incorporated her knowledge of the English disciplines. Then about 7 years ago, Dawn’s mother closed the riding stable. Dawn was almost 20 when she took a job working with Standardbreds at Tioga Downs Racetrack near Nichols, NY. At the track she worked in the barn, took care of the horses and prepared them for exercise. 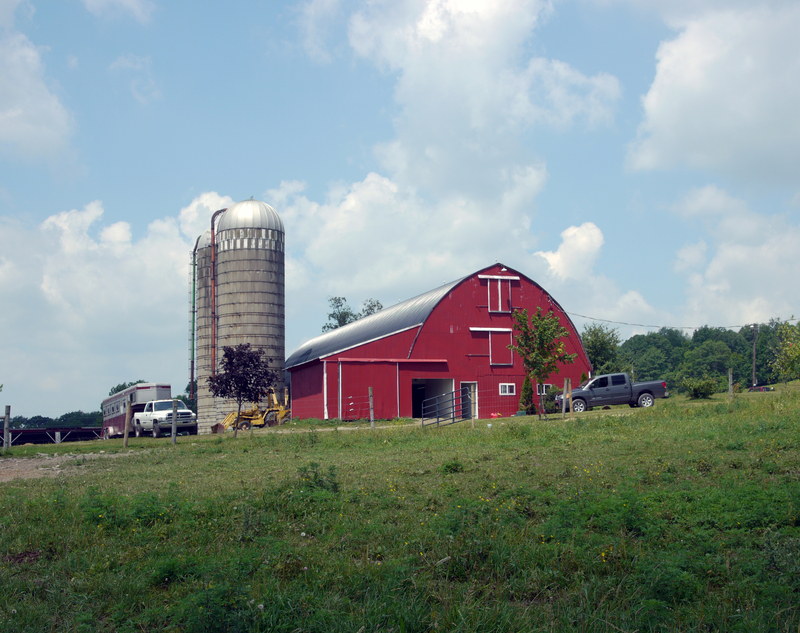 A few years later, Dawn moved to Taylor Farms owned by Bob and Shannon Taylor in Owego. She worked with Thoroughbreds and Shire horses. Besides working in the barn, she broadened her experiences with horses and learned to train the Shire foals, showed the weanlings, taught the yearlings to harness, then the 2 to 3 year olds how to hitch and drive. She drove the Shires at horse shows and loved working with them. 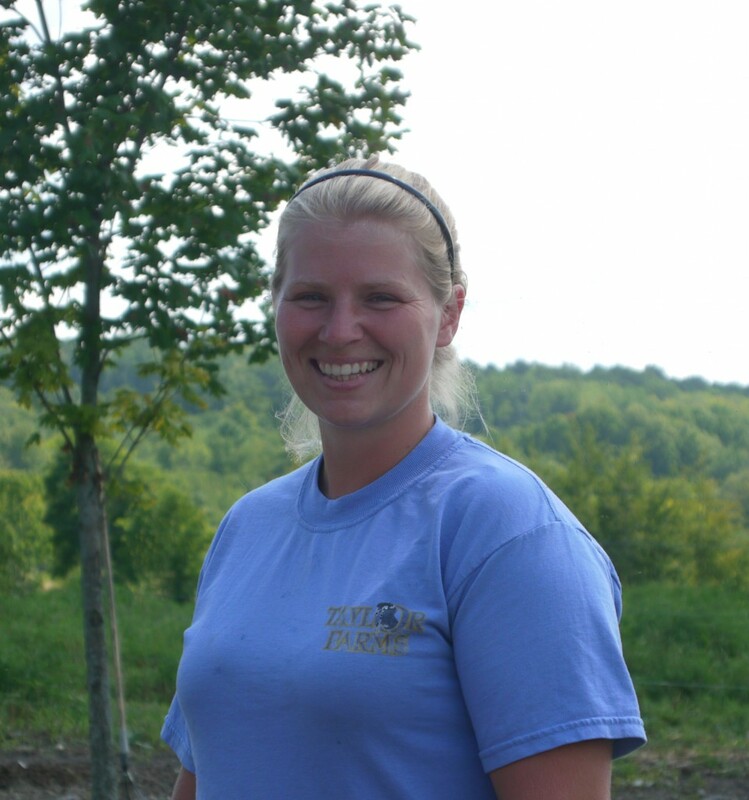 In 2011, Dawn left Taylor Farms to start her own private boarding facility at Rising Hope Farm. The farm had been used for beef cows and the barn needed conversion to accommodate horses. Sixteen stalls were built and new fences put up to make several large pastures. A few days ago, I turned my vehicle onto Park Hollow Road headed for Rising Hope Farm. When I pulled into the driveway, three barking dogs ran alongside my SUV until I came to a stop. Horsewomen walked their horse past me, then mounted and headed for the outdoor arena. 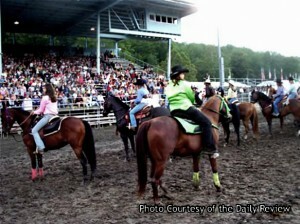 I followed them and watched the riders warm-up their horses as I waited to speak with Dawn. It wasn’t long before she and I sat on lawn chairs in her yard not far from the barn. “How are the horse shows going?” I asked. 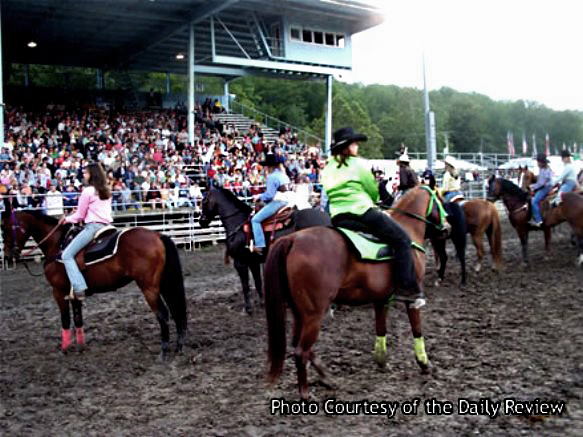 “Good, except I’ve been having a problem with my horse reacting to noise echoing off the grandstands. He’s fine when I compete in an arena with just bleachers, the noise and music doesn’t bother him, but if there is a grandstand he spooks. I’m guessing it’s the sound bouncing off the building back at him. I was getting ready to load my horse at the Reese Ranch Rodeo and the band was warming up a few yards away. He’s usually good with the music, but he started getting nervous. I think it was the sound echoing off the trailer. ” replied Dawn. “Horses are very sensitive to sound,” I said. “Where do you compete?” I asked. “What would you say is the most important thing to do when training horses?” I asked. I made my farewells to Dawn. The day was still new when I left Rising Hope Farms. The tranquil countryside engulfed my vehicle as I drove down the gravel driveway and turned onto Mt. Pleasant Road. The engine’s roar was the only sound I hear as I headed back toward Waverly and home. This entry was posted in Uncategorized and tagged Dawn Bellis, horse trainer, horseback riding, Rising Hope Farm. Bookmark the permalink.